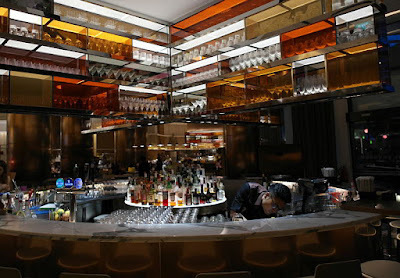 Grissini at Grand Copthorne Waterfront hotel is a contemporary Italian Grill restaurant. Large and comfortable space with choice of indoor or alfresco dining. 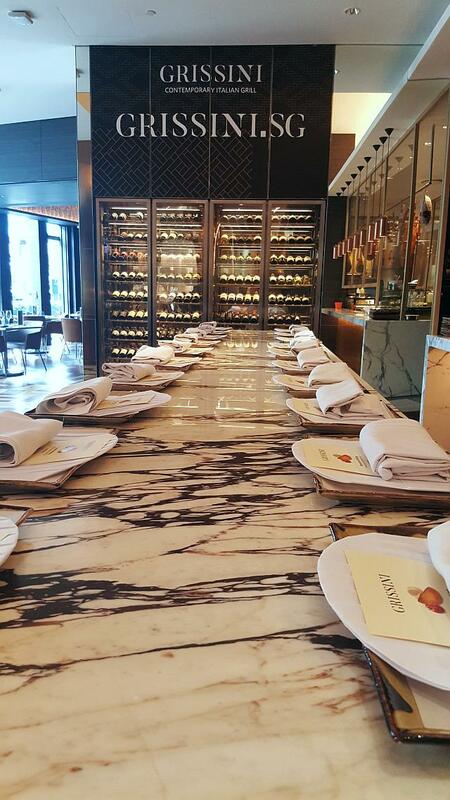 Helmed by the gregarious Chef Antonio Cocozza from Naples, one can expect delicious hearty rustic southern Italian dishes with fresh ingredients and seafood. For meat lovers, be thrilled with meats executed expertly from its Josper oven. Private and exclusive rooms are also available for functions. 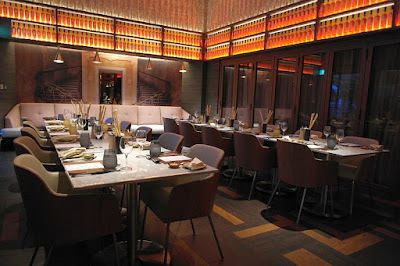 At one glance, the large private room is able to seat 20 pax at the table. Its adjacent room could seat about 10 pax. 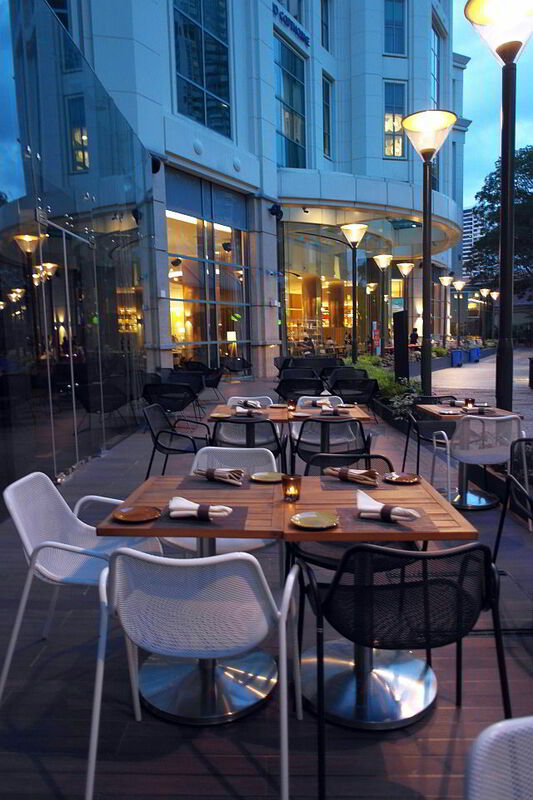 If evenings are cooler, the alfresco seats are quite nice. But on hot humid nights, I'd rather be indoors in the cool comfort of airconditioning. If you happen to be outdoors, you'll notice its Josper oven. 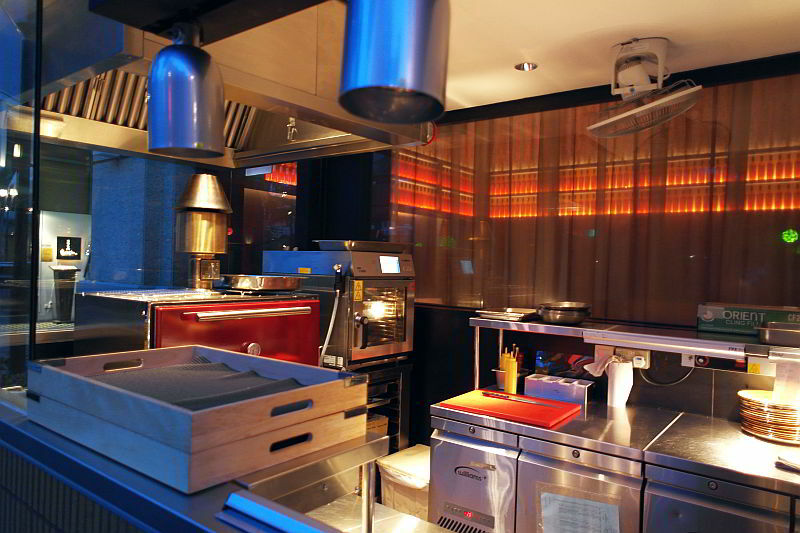 When the oven is in action, don't be surprised by the delicious smells wafting your way...mmm. 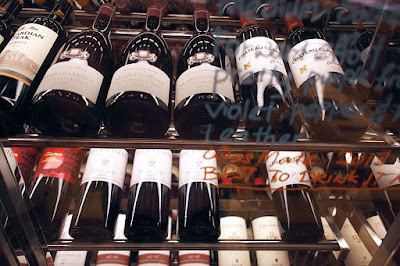 Be mesmerized by rows and rows of wine bottles found on-site. Such a pretty sight! Plenty of choices on what to drink. Grissini means breadstick and expectantly, there are bouquets of breadsticks on the table for diners to munch on. By far, the crispiest breadstick that I've ever tasted in any restaurant. Longish, large and super crunchy sticks. 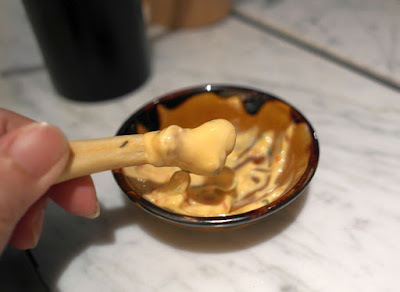 Don't forget about the creamy Japanese mayonaise with sundried tomatoes dip. Yums! For antipasti, the Charcuterie Platter pairs well with wine. 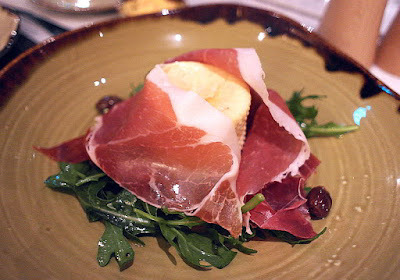 If you have a large group of about 8 pax, you might want to consider adding more parma ham to the platter. The default would be 100gms of meat. 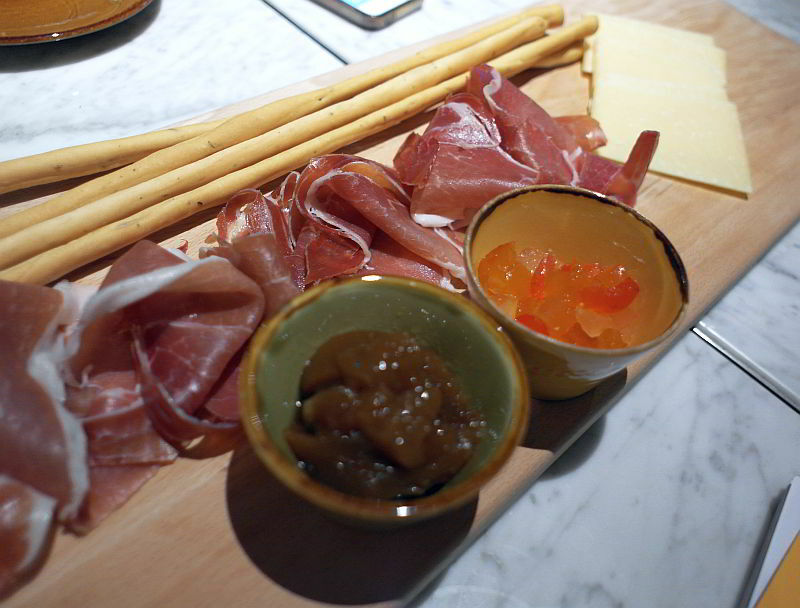 The platter was served with breadsticks, ubriaco cheese, fig and marmalade jam. The ubriaco cheese or also affectionately known as 'drunken cheese' is a type of artisan hard cheese made from cow's milk bathed in wine from the Northern region of Italy. Crumbly and complex in taste. Diners are spoilt for choice if you are looking for starters with cheese and greens. For example, the Smoked Cheese Salad and the Cheese with Parma Ham. Both were well presented. The parma ham in the Smoked Cheese Salad was flavourful and really loved the dressing of the rockets. The burratina was pillowy soft and subtly light in flavour. The baby rockets had been lovingly drizzled with Sicilian Extra Virgin Olive Oil "Primo" D.O.P. And the scattered olives provided some sudden bursts of saltiness. 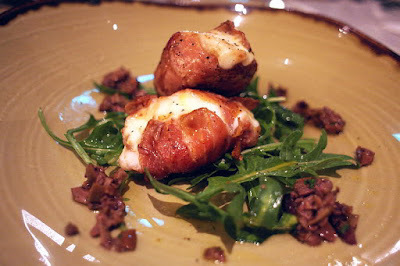 The pan-fried buffalo mozzarella wrapped in 12 months aged parma ham, will leave diners with a strong impression. Marjoram herb, baby rockets, orange oil and taggiasca olives eaten with the pan-fried melted mozzarella was so tasty. This and a sip of wine would equate to happiness. The Heirloom Tomato Salad was equally enjoyable too. Again, there's baby rockets, taggiasca olives and Sicilian EVOO and dotted with basil oil. 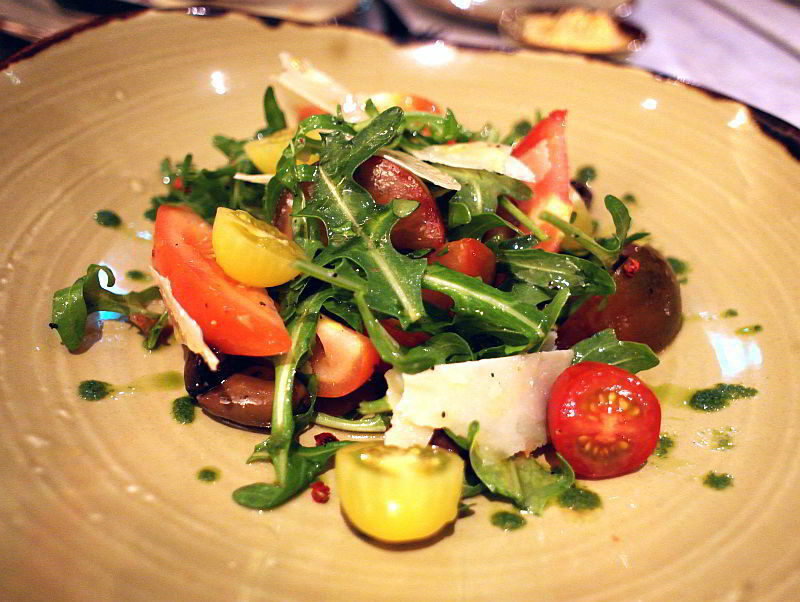 "Cimelio" heirloom tomatoes were used in this dish. After the starters, let's move onwards to Primi or the first course which generally contain hot food. We had mushroom risotto (meatless) of carnaroli rice which is more traditional as compared to arborio that is considered as more common. Carnaroli is a medium grained rice grown in Northern Italy and has a higher starch content. 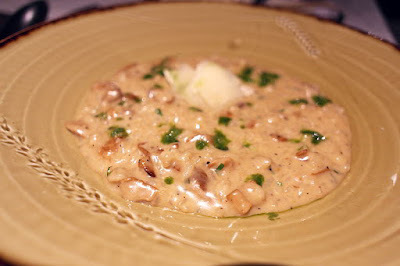 Liked the way the grains were cooked and the overall creaminess of the risotto. 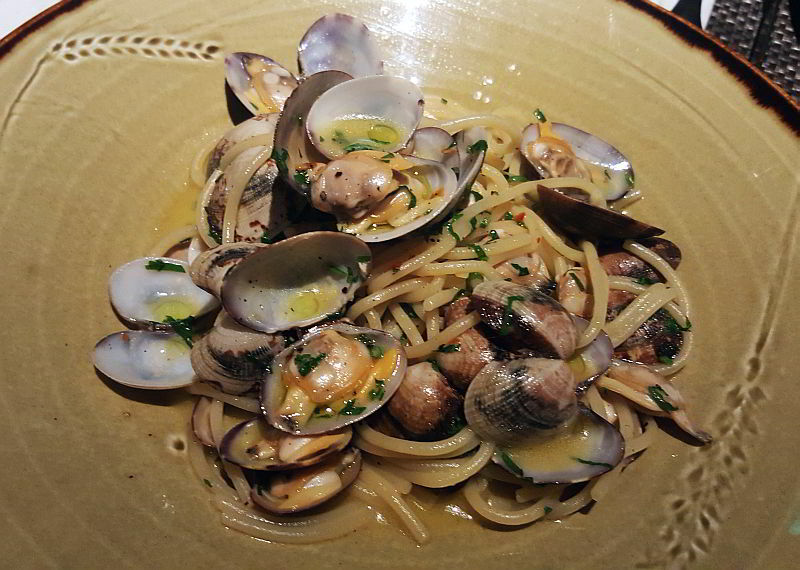 If pasta is more of your thing, the Spaghetti Clams is a pretty plate. The slightly plump looking baby clams were very beckoning. 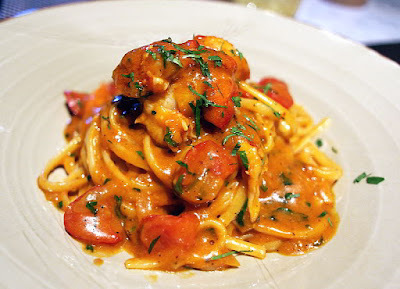 An even prettier plate would be the Boston Lobster Linguine. Its appetizing reddish hue and firm slices of lobster meat sitting atop of a well-sauced swirl of linguine. Premium ingredients presented in a non-complex way. However, its taste was anything but simple. If you like intense smokiness, this might be just what you were looking for. Was quite surprised at its intense and strong smokey flavours. 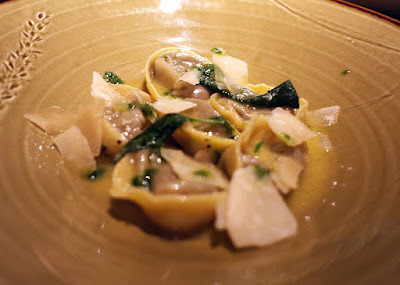 The best pasta dish for me, had to be the Tortelli Veal Cheek. Small parcels of flavourful goodness. Highly recommended. Butter, sage, parmigiano reggiano and Alba white truflle oil and the faultless handmade dumpling stuffed with veal cheek. Lovely. The next course would be Secondi and one gets meat! 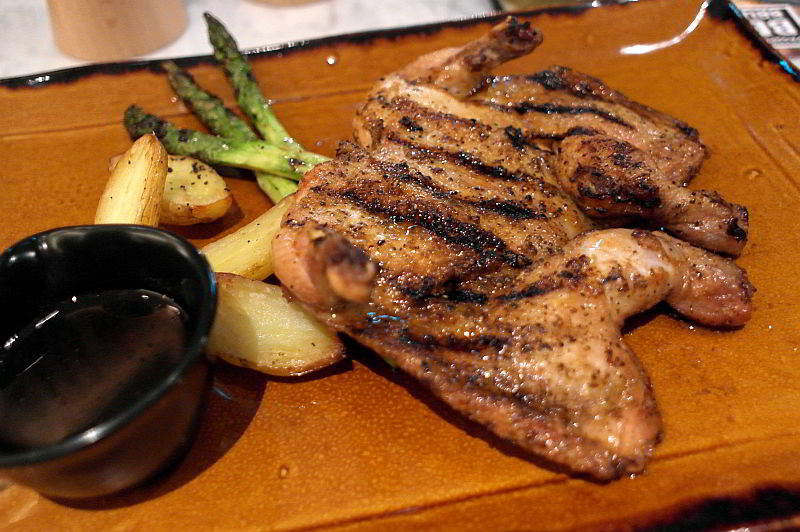 It was time to try the delicacies from the Josper oven. Octopus, chicken and wagyu. Pick a favourite! First up, was the pollo or grilled octopus. Such lovely legs. Plump meaty tentacles, lightly grilled and so tender. 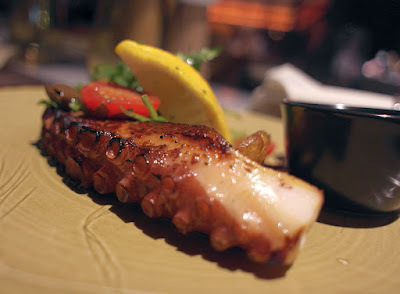 Chef Antonio shared that the octopus had travelled from Spain. Was a joy to bite into slices of this octopus. Good enough on its own. If you like a bit of variation, can have it with salsa verde sauce too. The spring chicken was cute, in a way. A tad smallish in size, and served with ratte potatoes and asparagus. 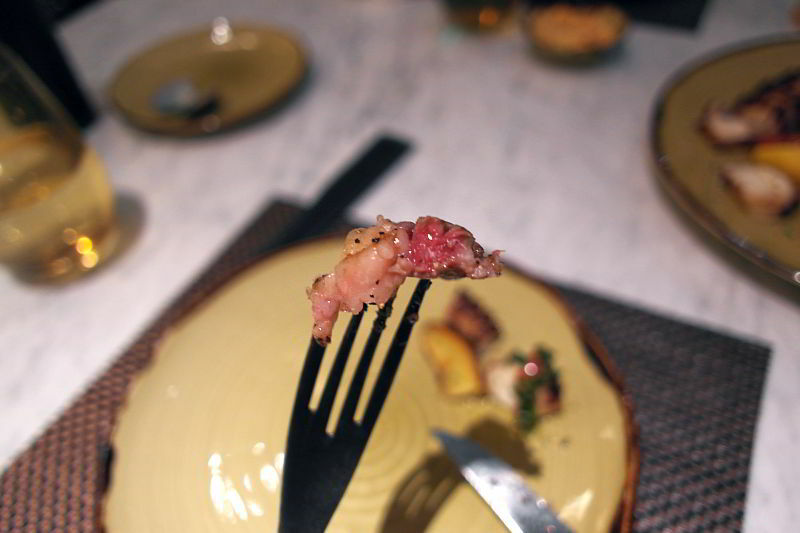 One could taste the natural flavours of the meat. The dip was optional. The Wagyu Ribeye was as good as expected. Natural flavours, lightly seasoned and served with rockets, tomatoes and parmesan cheese. Thought the dark and thick sauce tasted a tad like marmite though but it should be red wine sauce. 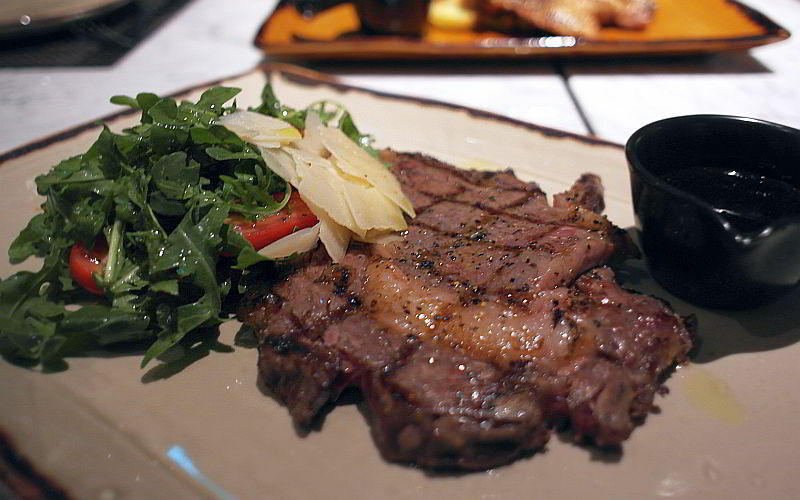 Fatty wagyu yums. As of all meals, eventually, it will come to an end. 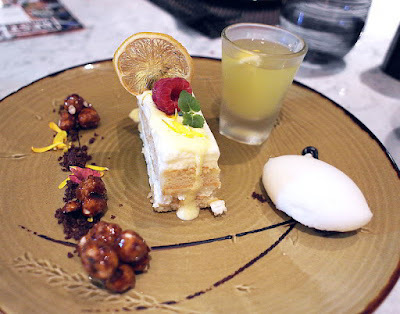 Chef brought out a tray of artisanal gelato with exotic flavours. 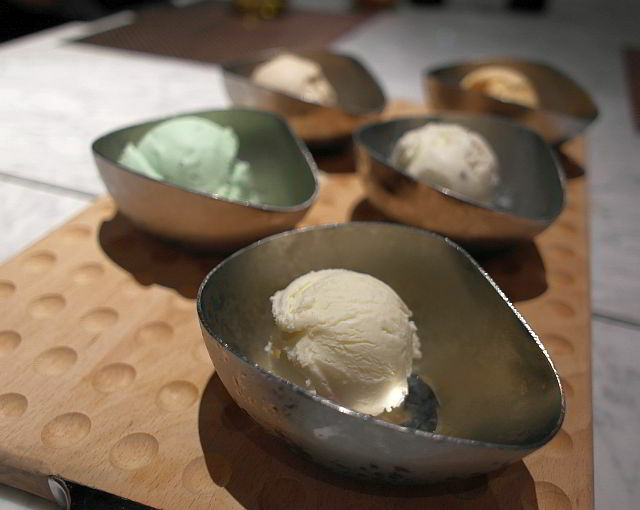 Ever tried truffle ice-cream? Not the chocolate truffle mind you, but the fungi truffle version. I never. So this was a first. 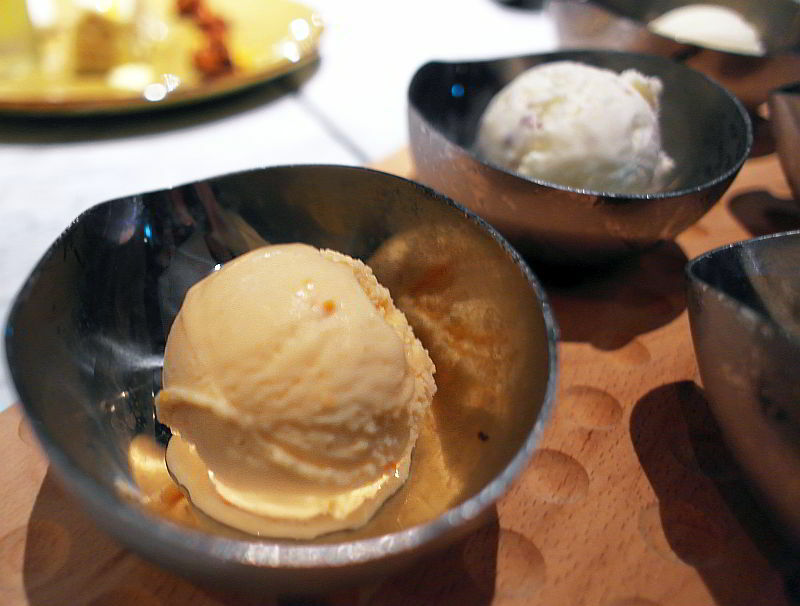 Or, how about a balsamico ice-cream? Keke, neither have I. Am thinking by now, that Chef Antonio is an adventurous chef! Gosh, the black truffle and olives flavour was seriously strong. Truffle lovers rejoice as now you can have your ice-cream and eat it too! This was one true to taste ice-cream. I think I still prefer my balsamico in its liquid form for the breads and salad. The parmesan cheese was distinct as well with its cheesy 'flaky' flavour. For the cheese lovers. Done being adventurous, I'd prefer the comfort gelato that were the basil and cherry tomato. Overall, it was quite fun to taste the new flavours and see how others react to it. Keke! Thus far, it was love, hate or undecided. There were a lot of firsts for me in this tasting. First time trying Limoncello Tiramisu. Showcasing the lemon liqour from the Amalfi Coast nonetheless. Decorated with lovely crunchy caramelized hazelnuts. Or, if you prefer something dark, choose the beautiful Chocolate Tart. 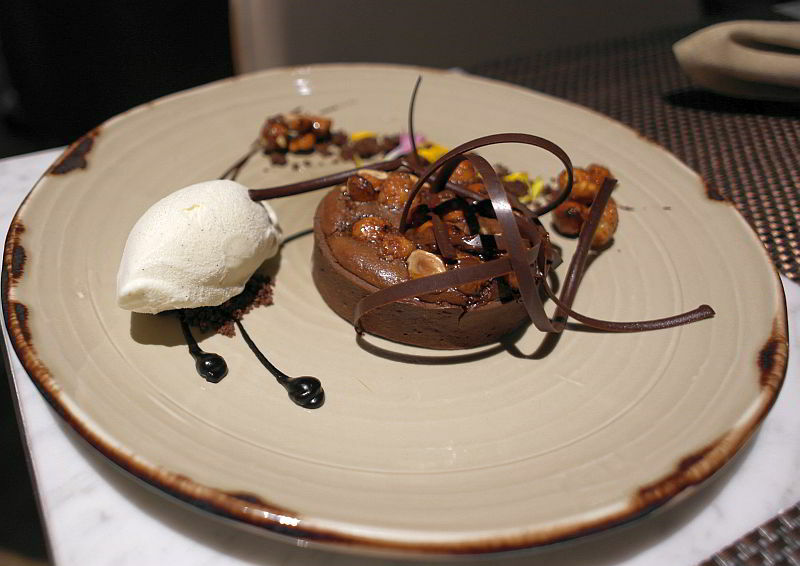 Warm hazelnut chocolate tart, served with chocolate ribbons and a bevy of those crunchy caramelized hazelnuts. Nutty, chocolatey and the right sweetness, just the way many of us would like it. Loved the edible flowers with its vibrant contrasting colours. 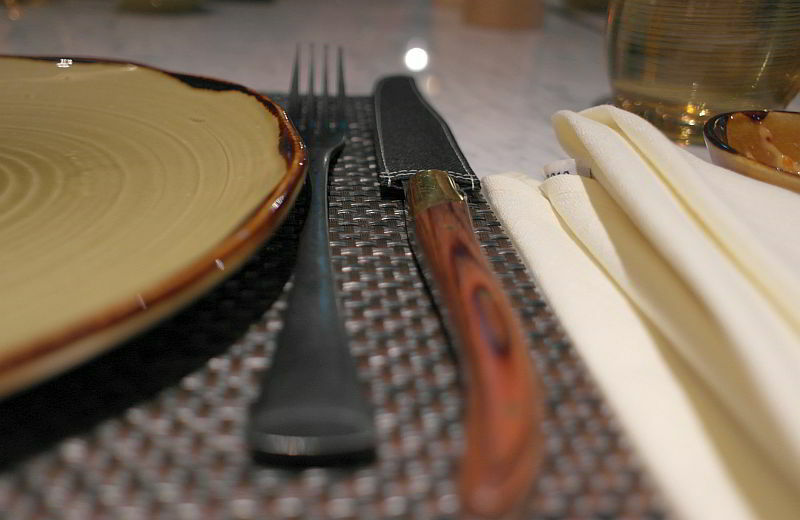 Grissini offers something for everybody. Modern and comfortable dining space, with the experienced Chef Antonio bringing us flavours of his hometown with influences from his worldwide stints, a good variety of starters, main courses, highlights from the Josper oven and beautiful desserts, with some fun experimental flavours for the assorted gelato. This is the place to bring your mama and the cheeky cousins to. Thank you Jennifer, Chef Antonio, Grand Copthorne Waterfront and the friendly service crew of Grissini, for taking care of us. 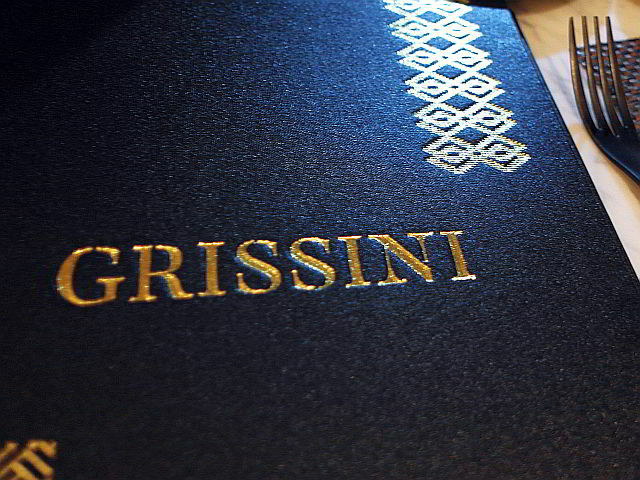 It was an enjoyable meal and experience at Grissini. Not forgetting, special thanks to HGW for the invite.